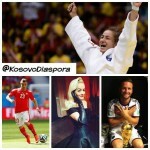 Kosovo’s Rita Ora is nominated for an Oscar based on her performance on the “Grateful” soundtrack for the 2013 movie Beyond the Lights. The nominees for the “Original Song” category usually perform during the ceremony, which means that we will probably get to see Rita at the Oscars Academy Awards on February 22nd in Los Angeles. “Grateful” will face competition from “Everything is Awesome”, a soundtrack of the The Lego movie. John Legend and Common are also nominated in this category for the song “Glory” on the movie Selma. The other nominees are Adam Levine with the song “Lost Stars” and Glen Campbell’s song “I’m Not Gonna Miss You”.